Hamas says new U.S. bill that sanctions the group for using civilians as human shields sides with the "Israeli narrative". Hamas on Thursday condemned a U.S. bill that sanctions the group for using civilians in Gaza as human shields, reported The Associated Press. 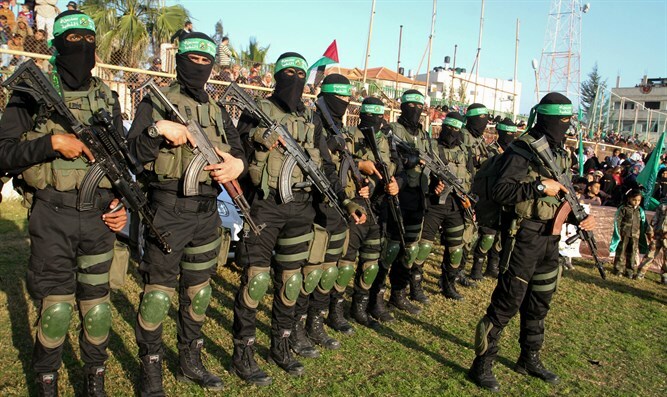 Hamas spokesman Fawzi Barhoum said the bill sides with "the Israeli narrative", according to the report. The Act, initiated by Rep. Joe Wilson (R-SC) and Rep. Seth Moulton (D-MA), condemns Hamas's use of civilians, including children, as human shields, sanctioning those who use them. It also emphasizes that using civilians as human shields violates both human rights and international humanitarian law, and emphasizes IDF efforts to avoid civilian casualties. The bill notes that "Hamas leaders routinely discourage Palestinian civilians from heeding these warnings, instructing them to remain in their homes, and, in some cases, force civilians to gather on the roofs of their homes to act as human shields." It will now be sent to the Senate for approval.